So a lot of people are interested in training at Scranton MMA but often think they can’t for one reason or another. We run into some very common reasons and we wanted to address them. We felt the best way to answer these reasons was to use video so we shot a few videos and we will post them below. Let us know what you think. If you have your own reason for not training just send us a message and we can talk. 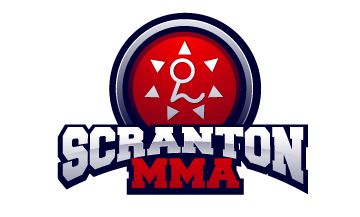 Scranton MMA Show Episode 17! If you have any questions or suggestion for topics, leave them in the comments! Quick video showing a great way to relieve upper back and neck pain. Please take a look and let me know what you think. I really hope this helps you out. I have definitely had my share of neck pain over the years. I also stand all day while working and at times my posture really gets bad and makes my neck hurt. Doing ‘this’ has helped a ton. First it reminds me to keep good posture and to stay loose. As soon as I start to hunch or slouch I can adjust. Also it is a really nice stretch and after just a few minutes I notice a lot of the tension and tightness easing up. So if you need help putting that little belt system together just let me know send me and email or message me or whatever is easiest but Ill try to walk you through it again. First take the middle of the belt and place it in the center of the small of your back. Then bring it around in front of your stomach and then both straps go over your shoulder just like a backpack. Once the straps are over your shoulder cross them over each other and let them fall towards your hips. Pull them in front of you. Now you can pull them forward to start to get a good stretch. Adjust them as needed so its nice and comfortable. You can tie it off if you want to wear it like that for a bit or you can just do some nice stretches while your shoulders are pulled back. I really like wearing it for a bit. Its great to wear while responding to emails because as I am typing I can do some light stretching and really loosen up my back, traps and neck. So give it a shot and let me know what you think! Brand new show is in the books. So we recently got some new gear to help us improve the audio quality. Some new microphones and a fancy mixer to help us adjust the volumes and what not. I think you can really hear the improvement. Things are a clearer and the volume is nice and loud. Let us know what you think.